The perfect gift deserves the perfect ribbon presentation! Choose from our huge selection of curly poly ribbons and get the presentation of a professional gift wrapper. 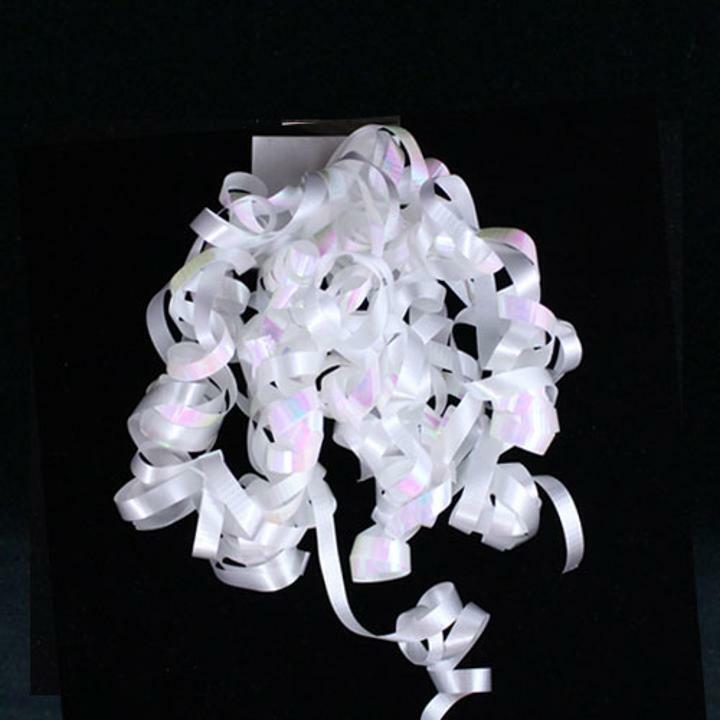 This curly gift ribbon consists of a variety of colors including white and white iridescent, and is perfect for wedding receptions, bridal showers, and more! Ribbons are ideal for decoration, holiday gift wrapping, making bows, and more. Check out our full line of other assorted color ribbons for any occasion.